The Bacon & Lox Chinese New Year gathering is one of our favorite annual events. 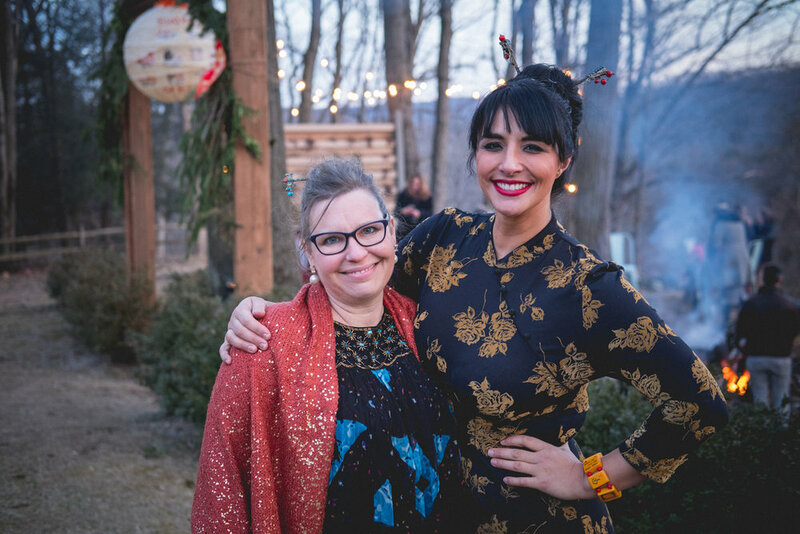 We love a little cross-cultural celebration, and every year we try to find new ways to make our Chinese-Ish New Year party as meaningful and memorable as possible. And of course we needed a way to involve the Christmas Tree! What started as a matter of practicality (the tree has to be disposed of somehow when the holiday season is over, right?) quickly turned into an exciting new way to celebrate. 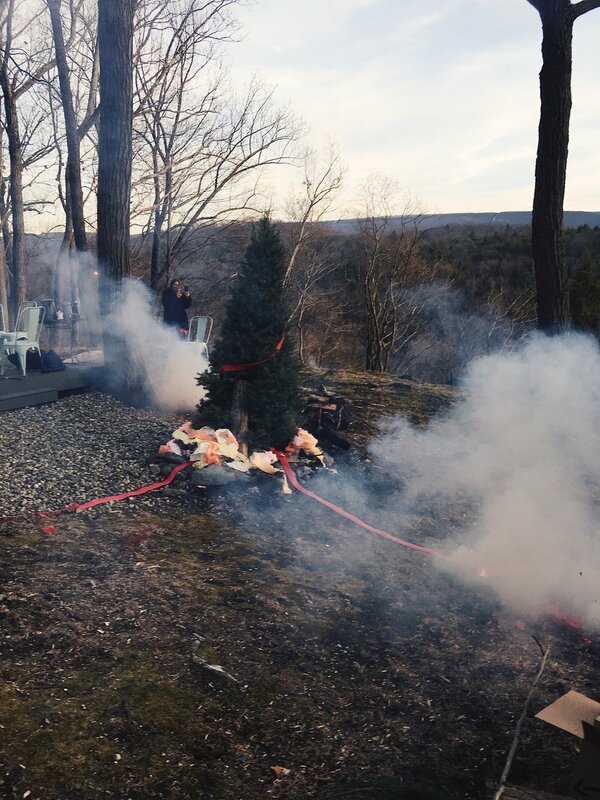 Our Christmas Tree bonfire has become the perfect way to inject some light, love, and intention into our yearly Chinese-Ish New Year Celebration. I was inspired by the trek that so many take to the Burning Man Festival, camping deep in the Nevada desert for eight days of intentionality, inclusion, and what they call "radical" self-reliance. It's a journey undertaken with the goal to learn & grow in some significant way over the course of a week, and it always ends with a massive pyre: a symbolic event representing the act of letting go of what's past, while looking ahead for what's to come at the very same time. Another practical influence on the New Year Bonfire? Our Chinese-ish New Year celebration usually takes place in late January or early February, when the temperatures tend to hit their seasonal low. It's also the end of our Christmas Tree season — and we do a lot to involve our Christmas Tree in our yearly celebrations and family traditions. Since we spend so much time with our Christmas Tree, we want to make sure it gets the send off it truly deserves each year. 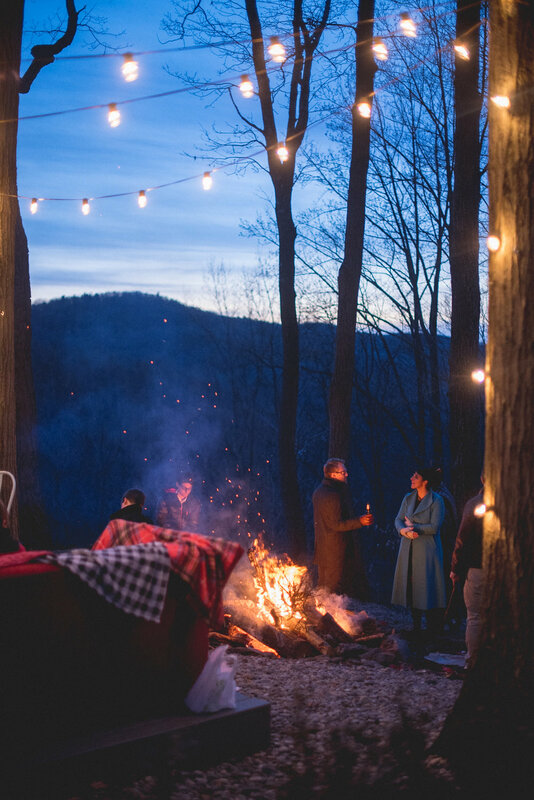 Not only does a bonfire keep us warm and together, it also gives us a celebratory way to let go of unneeded baggage from the previous year, while casting our intentions and inviting a fresh start for the upcoming 12 months. A big part of the Chinese New Year tradition involves firecrackers to ward off bad spirits for the upcoming year, so naturally we prepare by wrapping our Christmas Tree in bandolier after bandolier of custom-decorated explosives. Each roll of red paper firecrackers is branded with Heather's incredible design work, and when we've led ourselves a 20-or-so-foot fuse of firecrackers, we're ready to ignite! 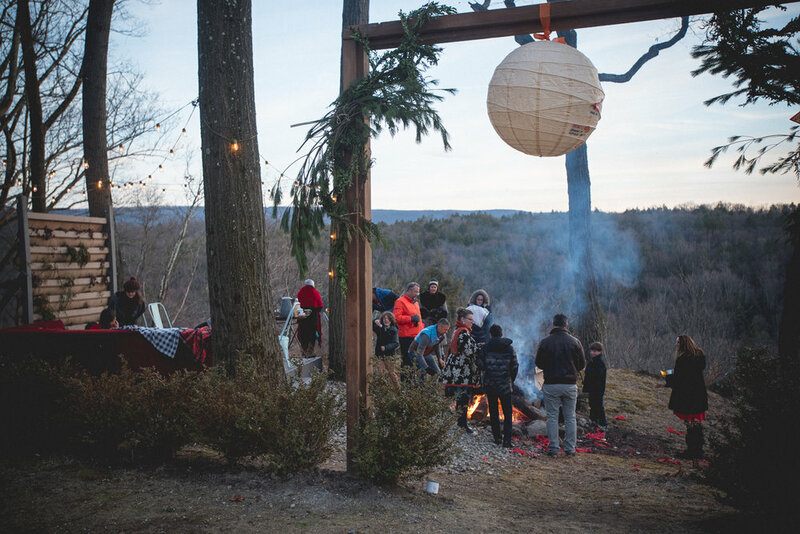 The tree always goes up in an incredible New Year's pyre, its light and warmth bringing us all together on a chilly day at Promise Ridge. And once the flames are burning brightly, we all take turns letting go. Every guest is invited to bring a "farewell item." This can be something associated with a painful memory, or it might just be something simply not needed anymore. Either way, the intention is clear: We're moving on from the past year, and into the next one. One year, my new friend April brought what was left of the medicine that had led to her husband's passing. She did it quietly, but when she the fire consumed a painful reminder, I saw an incredibly brave gesture. Another guest Rob — a PhD candidate — brought the previous year's course syllabus to burn! I made sure to throw the Ivanka clutch I had gotten at TJ Maxx a few years earlier into the conflagration this year. We each brought something that it was time to move away from, and the New Year bonfire gave us an opportunity to symbolically part with the things we just didn't need anymore. Of course, once we finish shedding our excess baggage, the Shower of Blessings is specifically designed to help us cast our intentions for the upcoming year! And when we're done? The two events combine into a lovely little time of togetherness. We all sip traditional Chinese teas (sometimes spiked for a bit of boozy fun!) 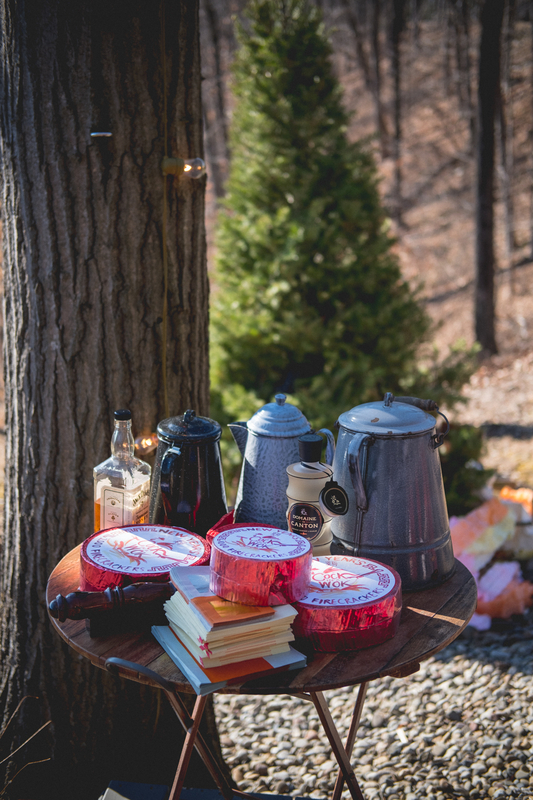 from our hand-picked blessing vessels, warmed around the glow of our now-smoldering Christmas Tree Bonfire, ready to welcome the year to come.